I wonder if the winner of Shaun’s shirt still has it or if she sold it at a garage sale to get the money for an Adam & The Ants pin. There’s a preteen in my life, and it isn’t the eternally embarrassed 12-year-old who surfaces from my subconscious for random visits. She is the 10-year-old who is completely into the Disney Channel sitcom, “Good Luck Charlie,” and the music of its star, Bridget Mendler. At some point within the past year, my daughter has turned into someone very similar to the preteen from the late-70s who also was obsessed with another actor with a budding musical career. At least she hasn’t chosen Justin Bieber or Big Time Rush. My mother couldn’t say the same thing for me, though. 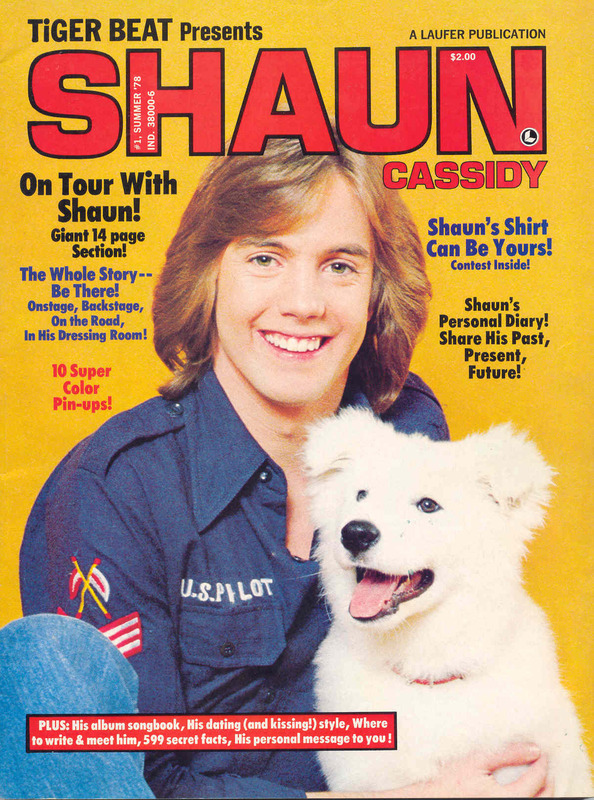 I was fully committed to the teen idol du jour of 1977 — Shaun Cassidy. Life around here is like a mirror between the decades. It occurs to me to compare and contrast teen idoldom of the times. My daughter asks me to download a bunch of Bridgit Mendler songs to iTunes (unaware that they often come in a collection called an “album”). I received the gift of “Da Doo Ron Ron” as a single and on Shaun’s self-titled debut album (baffled that my mom didn’t understand why I wanted both). A true fan would be embarrassed not to hear him at 45 and 33 rpm. My daughter asks me who my favorite singer is, hoping that I’ll say Brigit Mendler. (For the record, I pulled the following names off the top of my head — Morton Harket of A-ha, Dave Gahan of Depeche Mode and Paul McCartney.) In the summer of 1977, I posed this question to my mom every 10 minutes, “Who’s better? 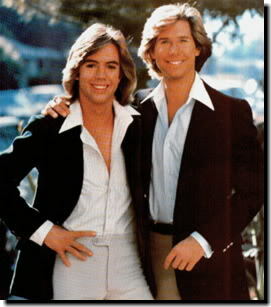 Parker Stevenson or Shaun Cassidy?” For some crazy reason, my mom preferred Parker Stevenson. No, Mom, Shaun Cassidy is cuter! My daughter researches the cast of Good Luck Charlie online and finds out that Eric Allen Kramer used to have a pony tail (which my husband confirmed after watching a rerun of Frasier). I learned all about Shaun Cassidy’s birthday, favorite color and what he wanted in a girlfriend in Teen Beat magazine. Bridget Mendler launched her musical career with the support of the Disney hit factory. Shaun Cassidy began his with the help of reliable covers. But in 2013, the world has changed, and there are differences for today’s young fans. Back in 1977, not all teen idols were multimedia. If you were a fan of Leif Garrett or Andy Gibb, you didn’t get to see them on television every week. Your only chance was an occasional appearance on American Bandstand, and you had to keep on top of the TV Guide listings to know when that was happening. If you loved Ralph Macchio or Scott Baio, you didn’t get to hear them on the radio or, better yet, 37 times a day on your stereo. You were limited to their weekly show and print media like Tiger Beat and its ilk. Fast-forward three-and-a-half decades and we’ve gone well beyond multimedia to mass merchandizing. Not only can today’s preteens see and hear their idols anywhere and as often as they’d like, they can bask in them with head-to-toe fan gear. Bieber Fever even extends to oral hygiene. The lucrative boundaries of fandemonium hadn’t been explored fully in the 70s. So, let me stop and be thankful again that it isn’t Justin Bieber. At least the actors on Good Luck Charlie aren’t featured on toothbrushes or floss.